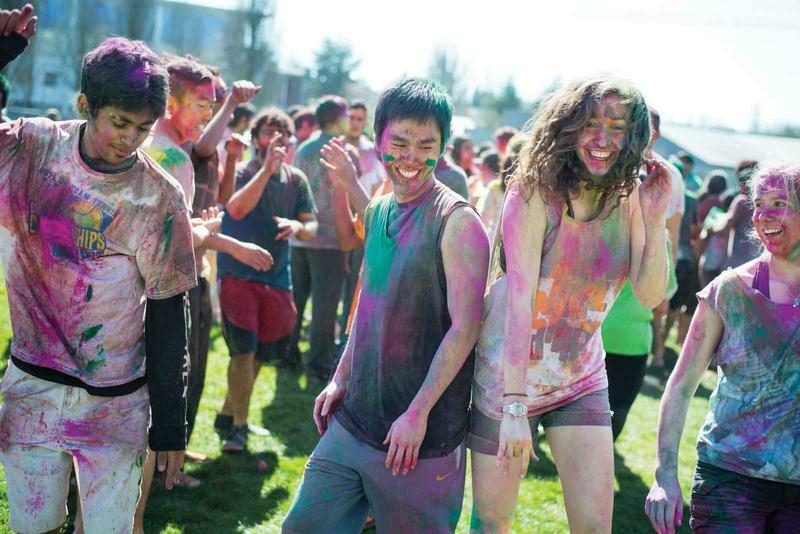 Cover yourself in colour to celebrate the beginning of Spring and hopefully the ending of perpetual grey skies at UBC Holi Fest, happening this Saturday, March 24 from 11 a.m. to 4 p.m. The traditional Hindu spring festival is being hosted by UTSAV- UBC Indian Students Association to celebrate love and equality. Holi Fest is UTSAV’s biggest and most anticipated event of the year — it’s also their last so expect them to be pulling out all the stops. The event will feature DJ Khanvict playing Bollywood hits to get you dancing as well as food trucks serving the best Indian delicacies. The event was a hit last year with over 1,000 people attending and another large crowd is expected this year. So, be sure to get there early and stock up on paint so you can get colourful. Tickets are $7 for final tier, but make sure to bring some extra cash to buy colour packets, food and drinks. Also, don’t forget to wear white clothes and be prepared to get them completely ruined after the big paint throw. The event will ensure a fun afternoon, so take a study break and release some stress by throwing coloured powder at your friends and dancing your impending final exam stress away.